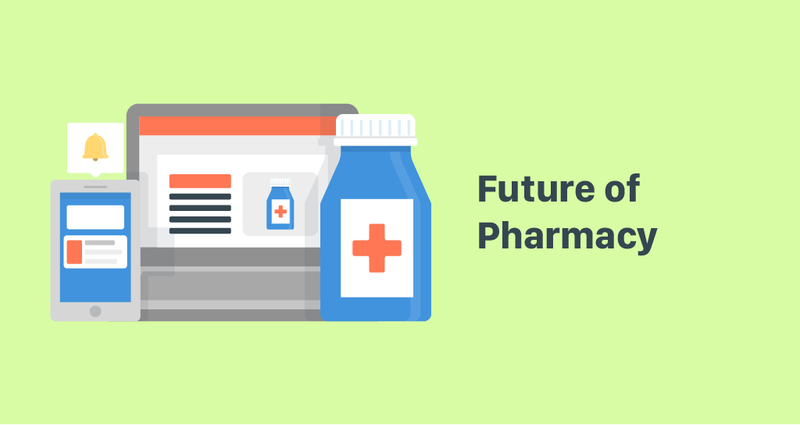 The pharmacy industry is constantly evolving. Even in the last year, we have seen the introduction of cannabis-derived medicines become available on prescription and struggled through the complications of GDPR. Brexit remains an unknowable vision on the horizon, and new leaps in technology have brought us the likes of ‘Max the pharmacy robot’. If we consider all of the different technologies and changes to practices which have come into effect in the last ten years, not to mention how the internet has forever altered how we work day-to-day, we may scarcely recognise the pharmaceutical industry of the decade past. Could we have successfully predicted where we would now be in 2018, back then? The profession of pharmacy is in a continuous state of flux. Many pharmacists find themselves still locked into the prescription medication dispensing treadmill. A few can't keep up and eventually fall off. But there are some who are able to see beyond the console and find opportunities to step off the treadmill into new positions. I see the technician role expanding to allowing pharmacists to perform more cognitive functions as healthcare embraces and values the services a pharmacist can provide. Many pharmacists will still be needed in the prescription dispensing setting but they will be performing more patient care functions as opposed to actually dispensing medications. There will continue to be pharmacists transitioning into direct patient care functions in clinics and hospitals where a pharmacist's knowledge can improve patient outcomes. Medication use and management, well patient screenings, management of chronic care patients including prescribing, hospital pre-admission and discharge, use of pharmacogenetics and pharmacogenomic prescribing are all possible areas for pharmacist involvement. I see the technician role expanding to allowing pharmacists to perform more cognitive functions as healthcare embraces and values the services a pharmacist can provide. Many pharmacists will still be needed in the prescription dispensing setting but they will be performing more patient care functions as opposed to actually dispensing medications. There will continue to be pharmacists transitioning into direct patient care functions in clinics and hospitals where a pharmacist's knowledge can improve patient outcomes. Medication use and management, well patient screenings, management of chronic care patients including prescribing, hospital pre-admission and discharge, use of pharmacogenetics and pharmacogenomic prescribing are all possible areas for pharmacist involvement. I think the pharmacy industry should thank its lucky stars that it hasn’t already been swept up into the world of click and collect and home delivery and swallowed up by the likes of Amazon and Google. Almost every other industry has been deeply affected and it looks like Amazon, with the acquisition of Pillpack is now on the move. And who can blame them, it’s a billions upon billions of dollar industry that essentially involves getting the right product to the right person, exactly when they need it. So the fit is obvious and I expect the traditional pharmacy concept to change almost completely. It may not be all that bad for the industry though, pharmacists have always played an incredibly important role dispensing advice and compassion. I’ve been in pharmacies that felt more like social centres, places where elderly or people with chronic conditions can go to regularly to get support. I think we’ve all seen that. That’s a very, very hard service for a retail giant to replace, so perhaps we’ll see pharmacy focus more and more on that element of the service as a way to stay relevant. I think for them do so they will need government and policy backing to keep the doors open and counterbalance any drop in floor sales, and I sincerely hope that happens. "A shift is happening in Community Pharmacy for the better and I'm excited about it. And it's because of the evolution of digital health and the rapid advancements in technology that is improving efficiencies and making healthcare more convenient. In 20 years time, the pharmacy should be a station of clinical healthcare services and consultancy, with a completely automated drug dispensing process attached to it. That's the future of Community Pharmacy and the government, through the budget cuts, is making sure it happens." In my opinion community pharmacy will look like a pharmacy health centre integrated with digital innovation. Also, I envisage that digital technology will play a greater role in pharmacy enabling all staff to use their training more effectively thereby reducing the burden on other healthcare professionals. Technology should be seen as an opportunity and not a threat. Staff working in pharmacy need to adapt and embrace the change or risk being left behind. Pharmacists are skilled professionals who can offer a lot more than just medicines. Pharmacists should be entrepreneurial in their thinking and lead the government on what Pharmacy can do and not the other way around.